I’m slowing consuming Chasing Slow, which seems fitting considering it’s subject matter. The book has captured my attention, but not to the point that I can’t put it down. I am enjoying reading Erin’s telling of her story and the things she has painstakingly learned. Perhaps my favorite thing about her writing is not even the content, though, but her cadence. I love the rhythm of her words, her sentences. And I’m enjoying the structure of her book. Definitely a keeper! P.S. Follow Erin on Instagram @erinloechner; you’ll be glad you did! 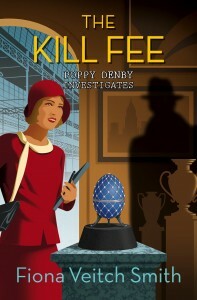 This is another one that I’m listening to, this time via Hootsuite, my library’s audiobook app. I’m not very far into it, but I am enjoying it so far. I’m not sure exactly how much it will apply to me, as I currently have my dream job at my dream organization. But there is always room for improvement! I am listening to Whispers in the Reading Room via Audible on my drive home from work each day (and the once-in-a-while walks I take with the baby). 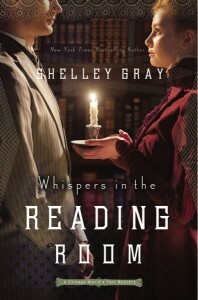 While I do enjoy historical fiction to an extent (it was all I read as a child/young adult! ), and love a good mystery, and of course a turn of the century library is fun for a bibliophile, I am finding this one difficult to get into. I think it is in part due to the constantly hurried tone of the narrator (Tavia Gilbert) and in part due to the very slow start. I’m 3.5 hours in at this point and still waiting for something to happen. It was about this time last year that I brought my little Fiona home from the hospital and the first book I picked up was The Jazz Files by another Fiona, so I admittedly have a soft spot in my heart for these books. 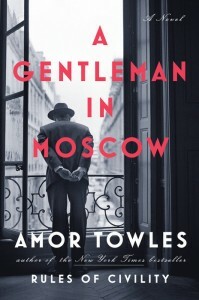 But a romp through 1920s London is always enjoyable, and spending it investigating mysterious deaths associated with the Russian revolution (a nice tie in to A Gentleman in Moscow, above) is even better. This was wholeheartedly fun, if not particularly original. Check back for a full review coming soon! 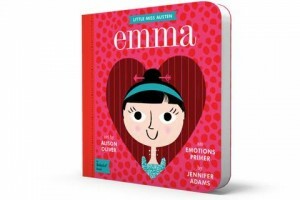 This was Fiona’s Valentine’s Day gift from Mama and Daddy — an emotions primer based on Jane Austen’s Emma! I love BabyLit books, they are enjoyable to read to my daughter and expose her to some of the wonderful characters and story lines that she will be reading when she is older. And I thought a book about emotions would be a fitting Valentine’s Day gift. The BabyLit books are sturdy too, so I don’t have to worry about Fiona destroying them. I love to let her hold them and carry them around and love on them as only a one-year-old can. Oh, I loved A Gentleman in Moscow! You’re so right, it wasn’t a quick read, but I think that adds to its charm. Rules of Civility is wonderful as well! Yes, it does add to the charm! To really get the most of out it, I love to sit with a cup of hot tea in front of a nice fire to read after my little one is abed for the night. I’ve seen so many mentions of Chasing Slow, that your review put me over the edge: it’s going on my TBR list! Also, LOVE the Emma book, so darling! I love the idea of introducing kids to those big ideas early; my husband is doing a long, drawn-out-over-weeks rendition of the Count of Monte Cristo for our kids at bedtime…though very much kid level (example: upon arriving at Chateau D’If, Edmond Dantes is strung up and tickled until he wets himself…). Oh my goodness, I love that! Who wrote that version of Count of Monte Cristo? I’m obsessed with finding classic literature written for all ages. And yes, definitely put Chasing Slow on the TBR list, it’s a good one! I enjoy listening to Erin when she co-hosts the “home” episodes of The Simple Show with Tsh Oxenreider. I didn’t realize she was the one who wrote Chasing Slow, which has been hovering over the blogosphere for some time now, catching my eye over and over. 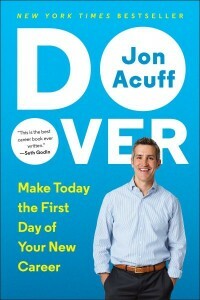 I need to read it soon since I have heard such great things and could learn a thing or two about slowing down. Yes, that is where I first heard Erin. I was intrigued by her authentic presence on The Simple Show and immediately headed over to her blog where I learned that I love her unique voice and writing style. It says so much in such a simple way!